According to Stanford Researchers if the soil under our feet is managed well, it has the ability to trap carbon dioxide to a greater extent than previously estimated, and control global warming. The Researchers state the resource could “significantly” offset growing global emissions. They call for a reversal of federal reductions to associated research programs to learn more about this beneficial resource. The research, published in two overlapping papers on October 5th in Annual Review of Ecology, Evolution and Systematics and Global Change Biology, highlights the need for further research into how soil – if managed well – could mitigate a rapidly changing climate. Dirt is not exciting to most people. But it is a no-risk climate solution with big co-benefits. Fostering soil health protects food security and builds resilience to droughts, floods and urbanization. Organic matter in soil, such as animal residues and decomposing plant stores more carbon than plants and the atmosphere collectively. Regrettably, the carbon in soil has been extensively lost or degraded through land use changes and unsustainable agricultural and forest practices, nitrogen deposition, fires and other human activities. The paramount near-term threat comes from thawing permafrost in Earth’s northern parts, which could discharge enormous quantities of carbon into the atmosphere. Despite these hazards, there is also huge promise, according to Jackson and Jennifer Harden, a Visiting Scholar in Stanford’s School of Earth, Energy & Environmental Sciences and Lead Author of the Global Change Biology paper. Enhancing how the land is managed could boost soil’s carbon storage sufficiently to offset future carbon emissions from thawing permafrost, the Researchers discover. Among the probable approaches: constant livestock forage, decreased tillage, and compost application. Planting more perennial crops, rather than annuals, could store more carbon and minimize erosion by allowing roots to grow deeper into the ground. Jackson, Harden and their colleagues also discovered that roughly 70 % of all sequestered carbon in the top meter of soil is in lands directly impacted by grazing, agriculture or forest management – a quantity that surprised the Authors. Jackson and his Co-authors found several other surprises in their analysis. For instance, plant roots are ﬁve times more probable than leaves to convert into soil organic matter for the same mass of material. The study also offers the most comprehensive estimate yet of carbon in permafrost and peatland– nearly half of the world’s estimated soil carbon. Retaining and restoring soil organic matter helps farmers grow better crops, purifies our water and keeps the atmosphere cleaner. The Jackson-led paper illustrates a surprisingly large stock of potentially weak carbon in the northern taiga, an ecosystem that is warming more quickly than any other. These carbon stocks are rather poorly mapped and understood. 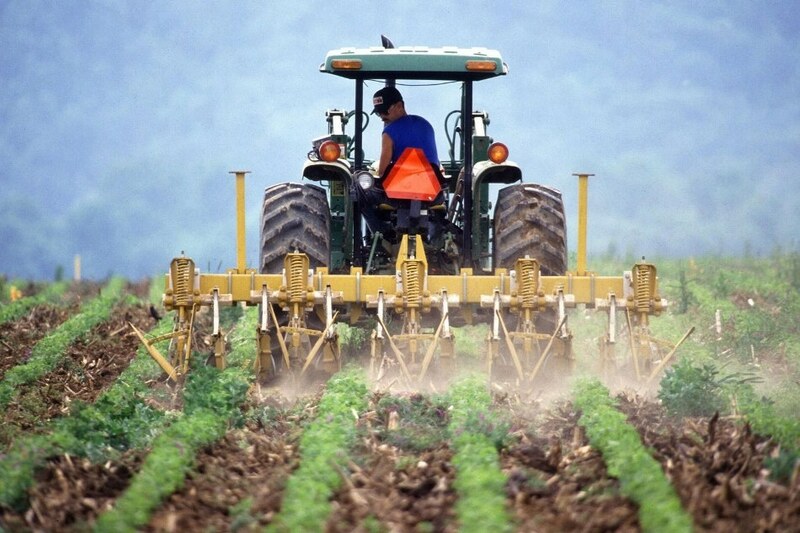 The study warns of another hazard: overestimating how the organic matter in soil is spread. Jackson and his Co-authors calculate there may be 25 to 30 % less organic matter than presently estimated because of constraints from bedrock, a factor formerly not studied in published scientific research. While Scientists are currently able to remotely map and track environmental deviations on the Earth’s surface, they still do not have a deep understanding of the interactions among chemical, biological and physical processes manipulating carbon in soils. This knowledge is key to understanding and foreseeing how the carbon cycle will respond to deviations in the ecosystem, safeguarding natural services we rely on, such as underground water storage and crop pollination, and increasing food production. A swiftly changing climate – and its effects on soil – makes these scientific developments all the more crucial. However, funding issues such as federal cuts to climate science, along with turnover in science staff and a lack of organized data, hamper progress on soil carbon research. Jackson, Harden and their colleagues call for a renewed push to collect considerably more data on carbon in the soil and study more about the role it plays in sequestering carbon. They foresee an open, shared network for use by ranchers, farmers, and other land managers as well as organizations and policymakers that need accurate data to inform land investments and conservation. If we lose momentum on carbon research, it will stifle our momentum for solving both climate and land sustainability problems. Jackson is also a Senior Fellow at the Stanford Woods Institute for the Environment and the Precourt Institute for Energy. Co-authors of the Annual Review of Ecology, Evolution and Systematics paper include Gustaf Hugelius, a Visiting Scholar in Stanford’s School of Earth, Energy & Environmental Sciences, and Researchers from Oregon State University, the University of Hawai‘i, Stockholm University, Washington State University and Universidad de Buenos Aires. Co-authors of the Global Change Biology paper include Researchers from Lund University; University of Arizona; Pacific Northwest National Laboratory; U.S. Geological Survey; Texas A&M University; Oak Ridge National Laboratory; Colorado State University, Fort Collins; U.S. Department of Agriculture; University of Hawaii; University of Delaware; University of California, Berkeley; University of Massachusetts; Union of Concerned Scientists; and University of Michigan.